I had planned to do a write up of how my Nexus 4, a 2012 device bought in 2013, was functioning in 2016. Amidst lots of procrastination, someone conned me off the phone. So we will now have to do with a “eulogy”. My beloved phone, a Nexus 4, was lost to a con man on the 26th of February. It is a phone I had owned for 2 years and 4 months. Technically, it was known as the LG E60, or the code name LG Mako. It did not have a pet name. It was a phone that was purchased in the United States in October 2013. It had to be purchased by my pal’s brother, because Google, the company that sells the device, does not accept purchase of the same with debit or credit cards issued in Kenya. While it originally cost about KSh. 33,000, I was lucky enough to purchase the phone at a time Google was having a clearance sale, meaning I got it for KSh. 25,000. The model was later to be replaced by the Nexus 5 in November 2013, hence the clearance. The phone was brought to Kenya aboard a KLM flight, by my colleague Peter, who had been in the US to attend Oracle World. Now, the phone was purchased in the East Coast of the US, and Oracle World was taking place in the West Coast, hence it had to be shipped across the North American continent by air freight. That costs less than KSh. 1,000 though. 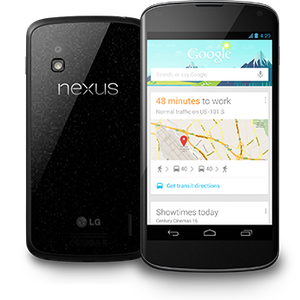 The Nexus devices are a brand owned and sold by Google. Google makes and owns Android, the popular phone operating system. Google, however, does not manufacture hardware, hence contracts firms such as LG, Motorola and Huawei to manufacture such devices for Google. Why the trouble of buying the Nexus from the opposite side of the globe? First, Nexus devices are not officially sold here, though once in a while you can get “grey market” devices here, but at a higher retail price than what Google sells them for. Grey market means a device was bought in a country where it was meant for retail sale, but shipped to be sold in a country where it wasn't. Usually, manufacturers and vendors do not like this habit, hence try to stop it. However, tax and currency differences work the other way to encourage grey markets. Kenya is a large grey market often supplied from Dubai, with electronics paying little tax once in here. Before the Nexus, I owned a Huawei Honor (U8860). It is a phone I had bought specifically due to the ability to update the software (Android version) it ran. Huawei’s last update for this device had been Android 4.0.1 (Android Ice Cream Sandwich). Google had later released Android 4.2.x (Android Jelly Bean - the x stands for minor versions ie 4.2.1, 4.2.2). This was at a time when Android was changing a lot, and new software versions would come with lots of new features and even support software that wouldn't work on earlier versions. A good example was Google Now (Gives you information based on data you generate eg places you visit), Google Keep(note taking app). These two apps would not work on software versions earlier than Jelly Bean (4.2). Now, Android manufacturers do not typically update the software of the phones they sell to you, once a new version is released. The exception is high end Android phones (The Galaxy S series, Galaxy Note Series, LG G series). Sometimes, manufacturers like Huawei allow for a single update on mid end devices like the Honor I had (Android 2.3 to Android 4.0.1) the Huawei G series (Android 4.4/Android 5.x to Android 6.0). The reasoning behind this is that it costs money to make a new Android version work with an existing phone. The money you paid for your phone is deemed not enough for this effort. Buy a new phone if you want the latest Android version. This contrasts with Apple iPhone, which updates all iPhones till it is technically impossible to update an iPhone to the newest version of iOS (the phone’s hardware can no longer run the new version of iOS). Now, some sharp geeks around the world have taken it upon themselves to “port” newer versions of Android to phones no longer supported by the manufacturer. The Cyanogen Project is the best known effort here. The Huawei Honor was one such device that had lots of developers unofficially developing new versions for. There was a catch. Developing new versions is still tough, especially if the people who made the phone are not involved. Some errors, known as bugs,occur. As a result, my Huawei Honour would crash and restart in the middle of calls, in the middle of using apps, leaving me with mini heart attacks. I decided I would give up this life of struggles, and get a Nexus device. Since this is a Google device, they will usually get new Android versions as soon as they are released for at least 18 months from when the phone is released. And this is official software, so no random crashing and restarting. Phares and @roomthinker would now no longer laugh at me and tell me to get an iPhone if I wanted value for money. A Nexus was close enough. 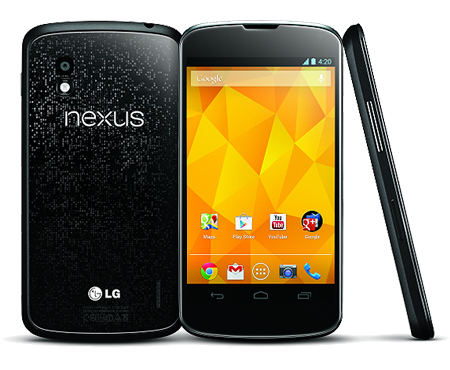 The Nexus 4 proved to be value for money. Given that I was buying it after about an year of existence, it came with Android 4.2, which immediately updated to Android 4.3 once connected to WiFi. The Nexus 4 got more than 18 months of support. It got Android 4.4, and also got Android 5 in November. Many people thought it wouldn't get Android 5 alonsgide the Nexus 5 (First shipped with Android 4.3), since this was outside the 18 month support period. The latest version of Android is 6, yet here was a phone first released in 2012 running the second latest version of Android!. It was a slim, beautiful, phone, with a glass back. It’s battery life wasn't something to write tweet home about - you could only continuously surf for 3 hours before you needed to recharge it. The camera, at about 8 mega-pixels, was not bad, but the hardware(camera chip) was not top of the range - it could barely take photos in low light, or when there was movement. However, this is 2012 technology we are talking about. An iPhone with 8 mega-pixels takes stunning photos, even at low light, because the camera chip is large, allowing for better functionality. Larger camera chips cost more. A 16 mega-pixel camera can have smaller chips than a 8 mega-pixel one, hence take poorer phones. A 7 mega-pixel digital camera will take better photos than a 16 mega-pixel phone camera. There are features where it still shines to date. The amount of RAM (system memory) was at 2 GB. To date, many devices still come with 512 MB. The more RAM you have, the faster the phone, allowing for handling of heavy apps and fast switching between apps - the phone will switch instantly from Twitter to the browser, to Facebook. The other stand out feature was the screen resolution. Explaining how screen resolution works in phones needs a whole post. A phone with a smaller display can have a higher resolution than a phone with a larger display. A higher resolution means better image quality. To date, there are phones costing above KSh. 30,000 that can not match the 2012 Nexus 4 in screen resolution quality. Resolutions depend on the number of pixels in a screen. Pixels vary in size. Smaller pixels are expensive. A larger display can be made cheap by cramming fewer large pixels. A smaller display can become costly by packing more smaller pixels. Thus, a 4.3 inch display can have a sharper resolution than a 5.1 inch display. Your laptop screen has more pixels than your TV. Move closer to your TV and watch the image become blurry. A 21 inch TV is far cheaper than a 21 inch computer monitor, yet the computer monitor lacks TV functionality. Resolution. The other thing in the Nexus 4 is the newer versions of Android, for which I have spent most of the post talking about. Processors? It had a “quadcore” 1.5 Gigahertz processor. No need to go into details here. Anything more than 2 “cores” (quad=4) is good enough, and coupled with system memory (RAM) of 2 GB means to date, the Nexus 4 is a fast performer. Not many devices come with these specifications, even now. In the period I owned it, it had only 2 minor scratches on the screen, easy to ignore. The screen had never broken, thankfully. The cost of replacing the screen is KSh. 5,000 less than what I bought the phone at. It had been dropped a couple of times. The first major drop was when Linda, a friend, in a bout of excitement, grabbed the phone off my hands and it slipped off hers, hitting concrete (remember it had a glass front and back). I wasn't the cause of excitement. It did not have a screen protector, a case or anything. I believed in “natural” beauty. It had a shiny chrome bezel round the front, and a nick on the bottom right of the bezel, from another fall which I can't remember. I had replaced the "non-removable" battery in January, but the new battery didn't give much of a difference. I had taken care of the old battery, ensuring to fully charge it, and only charge it when it dropped to about 15% or lower. Phone batteries last about 1,000 cycles before needing replacement. A cycle is every time you plug in your charger. If it is once a day, those are 3 years. If 5 times a day, those are 200 days. A power bank ensured my battery only underwent a cycle when necessary. The display had 2 “burns”, where there was some yellow-ish discolouration. The burns had come from some versions of Android that had bugs, which resulted in the phone over heating and in turn the display “burning”. These bugs had later been corrected in newer software updates, but a display burn is permanent. The ear phone jack had stopped working at some point recently, and I was yet to figure this out, but this was not a deal breaker. @rookieke has challenged our habits of buying new toys (devices) every year. I had therefore intended to stay with this device for at least 1 more year, or until it stopped working. The Nexus is Google’s answer to iPhone longevity. Well, it more than halfway gets there, seeing that it costs about half of what new iPhones cost. My Nexus 4 will be sorely missed. It is survived by it’s box, it’s charger and I think it’s cable. Lol.